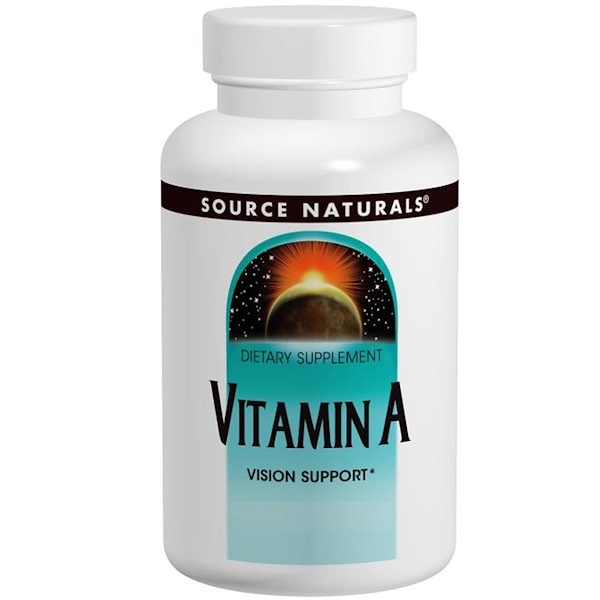 Vitamin A is an essential nutrient required for normal and night vision, maintaining healthy skin, and keeping mucous membranes moist and functioning. Vitamin A is also needed by the thymus gland and the bones. Women who are pregnant, may become pregnant, or breastfeeding, take only 1/2 tablet daily. Do not exceed a total intake of 5,000 IU of pre-formed vitamin A (palmitate) daily and consult your health care professional before using this product.